Thursday, May 30, 2019 ~ 7:15 a.m. ~ 4:30 p.m. The AHP Equine Enchantment Tour is an all-access insider tour of the horse and Western film culture of New Mexico, also known as “Tamalewood,” on May 30. From a world-class, multi-discipline equestrian facility and three different training/riding styles, to a top-notch cowboy craftsman and silver-screen Western movie set, this tour offers abundant story and photography opportunities, as well as a chance to explore the scenic Southwest, learn about its rich Native American, Spanish and film history/culture, and connect with and share the experience with other equine media members from all over the United States. 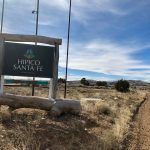 HIPICO Santa Fe is a 137-acre, world-class equestrian facility in Santa Fe, New Mexico. Throughout the year, HIPICO hosts top-level equestrian events, including polo and fox hunting, and A-rated dressage and hunter/jumper competitions. 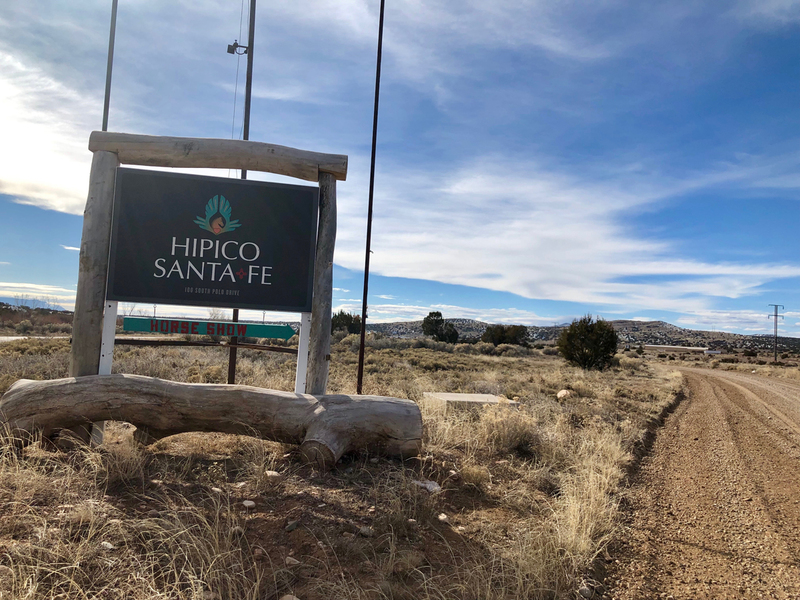 The facility is also home to the New Mexico Center for Therapeutic Riding, a nonprofit program that enriches the lives of youth and adults with special needs through equine-assisted activities and therapies. The following three demonstrations will be held from 8:30 a.m. to 11:30 a.m. at HIPICO. In the indoor arena at HIPICO, Shawna Karrasch will demonstrate On Target/Positive Reinforcement(R+) training with two of her horses. Shawna is based at Terra Nova Equestrian Training Center in Santa Fe. Terra Nova is an emerging equestrian facility with plans for expansion and updates to accommodate Karrasch’s clinics and events. Terra Nova Equestrian Training Center is sponsoring the Friday Evening event at the AHP conference. Rudy Lara of Rudy Lara Horsemanship in Taos, New Mexico, will demonstrate doma vaquera, a Spanish style of riding that applies dressage techniques in a Western saddle. The horseman uses a 13-foot wooden pole called a garrocha and engages in a traditional Spanish riding dance with his horse. Rudy also will ride one of his Andalusian horses and discuss the versatility and beauty of this Iberian breed. He may also address ranch roping and colt-starting, two other areas in which he specializes. You can learn more about him at Rudy Lara Horsemanship on Facebook. Chenoa McElvain, resident trainer at HIPICO and Grand Prix jumper rider will demonstrate training exercises for the jumper. Chenoa and Wallstreet most recently competed in the AIG Million Dollar Grand Prix at ITS Coachella in California. Last year, the pair won the HIPICO Santa Fe Summer Series Grand Prix. HIPICO Santa Fe is also home to Rancho Corazon, one of the top breeders of Hotsteiner jumpers in the United States. 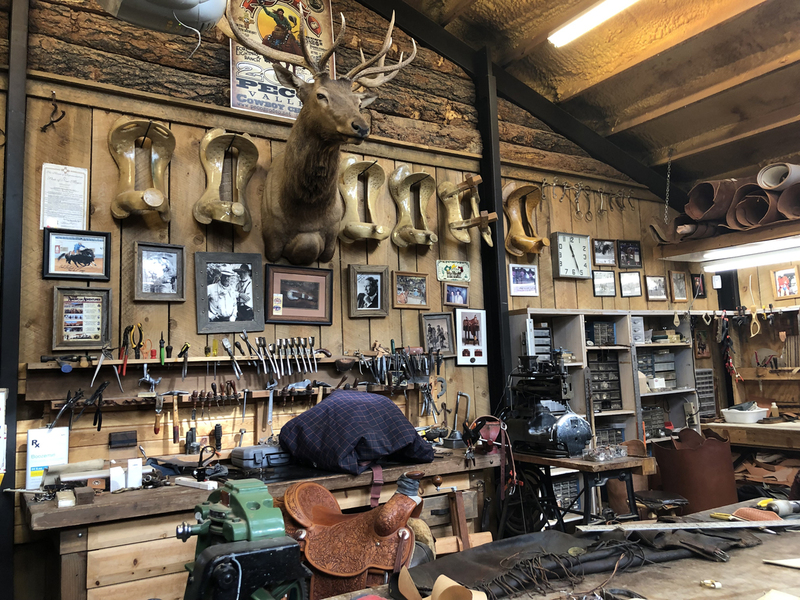 The tour continues at Mortenson Silver & Saddles for a Chuckwagon lunch and tour of the shop of leather crafter and silversmith Clint Mortenson. Clint will talk about the period gear he has made for Western films and the role he and his son, Wyatt, have played as extras and stuntmen in films. 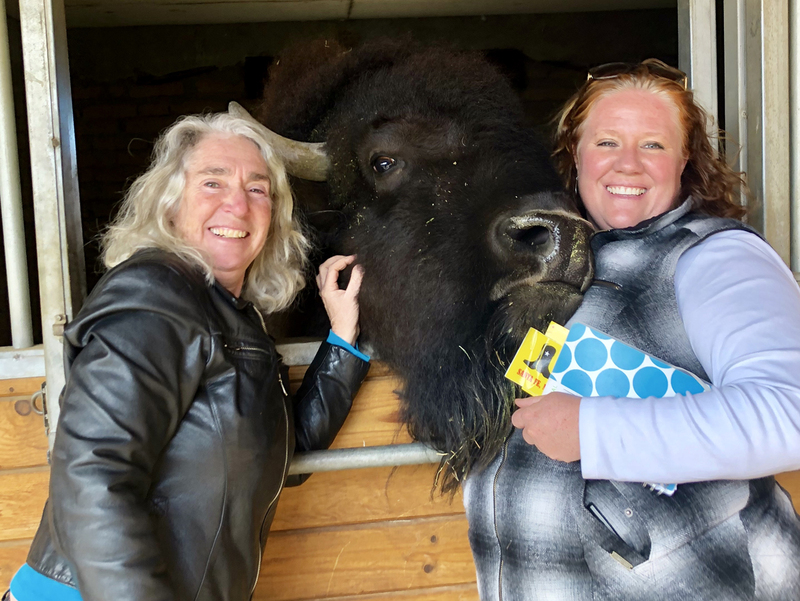 Members will also have a chance to meet Clyde, his pet buffalo, mingle with his cattle and other critters, and try their hand at roping a dummy. 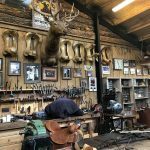 For more information on Clint Mortenson, read the article, "Cowboy Crafted," by Susan Morrison and published in Western Horseman. A catered lunch by local chuckwagon cook/caterer Carl Hawkins of the Hawkins Wagon is provided with the tour. Lunch includes a plate of beef brisket, slaw, bread and cobbler all cooked on the wagon. This is a fun and delicious way for members to experience an authentic chuckwagon meal, learn about the wagon and its entertaining “cookie” like ranch cowboys do when they go out on the range. Please Note: No dietary options such as vegan, gluten-free, vegetarian, etc. are available. Members need to bring their own lunch if they have a dietary restriction as there is no food for purchase nearby. Next stop is the Eaves Movie Ranch, a family operated movie production site started by J.W. Eaves in the 1960s. The property looks like a Western town with old buildings and railroad tracks. Many films have been created there including Young Guns II, The Cowboys and, more recently, The Ballad of Buster Scruggs. We will be given a brief tour by a gentleman familiar with the site and who has also appeared on the silver screen. At approximately 2:45 p.m. the members will load the bus for the drive back to Hotel Albuquerque along the Turquoise Trail Scenic Byway. 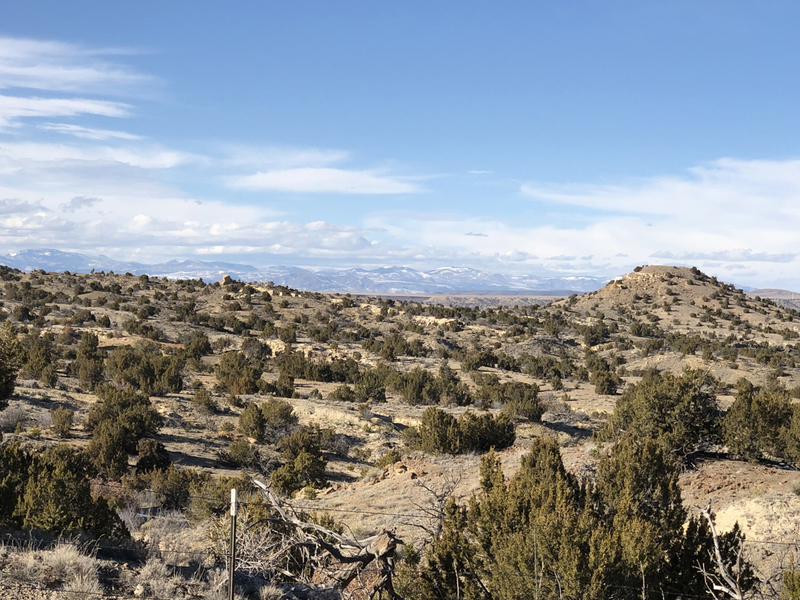 Members will experience the mountain and high desert views not seen from the Interstate, as well as pass through a historic mining town called Madrid with quaint boutiques, galleries, coffee shops and restaurants. 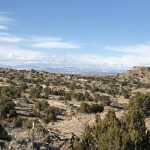 A local guide will narrate stories about the history and lore of the region, as well as point out significant sites along the way. Estimated arrival back at Hotel Albuquerque is 4:45 p.m. The Equine Enchantment Tour offers members an exclusive taste of the colorful Southwest horse and film culture. 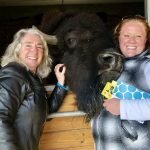 Members will have the chance to experience it in “reel” time with equine media peers, plus have bonus opportunities for stories and photographs they can only get through the High Desert Media Roundup and this tour. Shawna Karrash’s personal invitation to members to the Equine Enchantment Tour.